In December 1866, Fredrick Emert purchased 337 acres of land on the headwaters of Walden’s Creek in Sevier County, Tennessee, on the courthouse steps at auction. 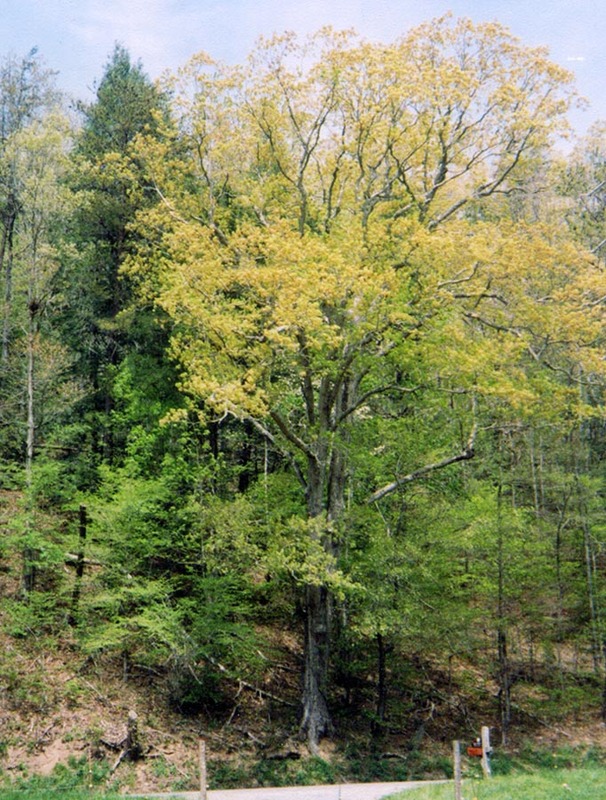 The deed of Fredrick Emert describes the property as “Beginning at a small white oak and persimmon on the upper side of the main road.” Other deeds dating back to the 1840s referred to the same white oak. This white oak was added to the Landmark Registry in 2004; at the time the oak was thirty-five inches in diameter and seventy-six feet tall and was marked and painted as a boundary line tree. It stood on the north side of Walden’s Creek Road near the residence of Mike Suttles, a seventh-generation descendant of Fredrick Emert. The tree fell in a storm in 2006.